BUILD was pleased to host SFHAC's New Housing Tour at our O&M development on October 10th. 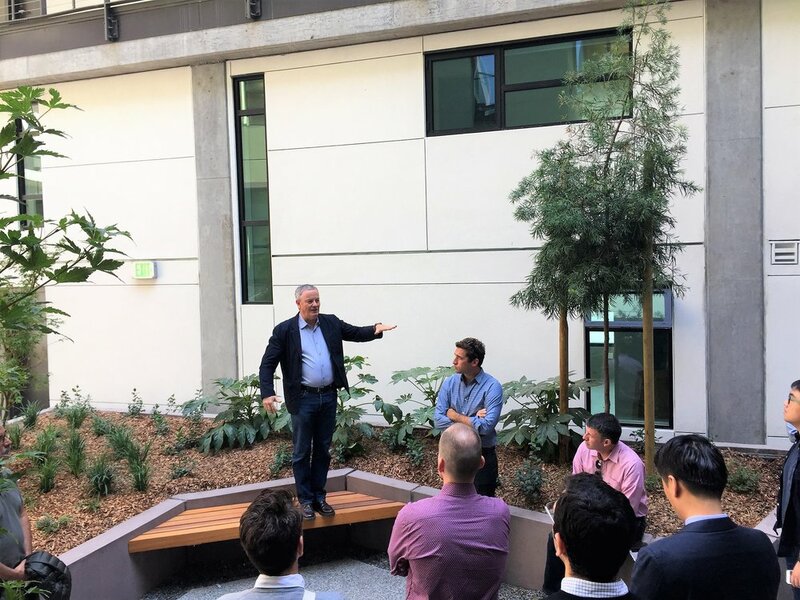 Over 30 people were treated to unit, roofdeck, and courtyard tours with commentary by the architects of each building: Peter Pfau for Building "O" and Owen Kennerly for Building "M". BUILD's Lou Vasquez will be participating in a placemaking panel for one of ULI's educational programs in Sacramento. The program will highlight various placemaking projects from around the region and Bay Area, including programs by the City of Sacramento. The goal is to discuss what creative placemaking is, showcase projects, understand impacts on real estate, and learn how to successfully implement placemaking strategies. For more information and to register for the invent, please visit the ULI event site. BisNow's annual San Francisco Multifamily Summit is on October 11th and BUILD's Katie O'Brien is one of the featured speakers. She will be part of a panel discussing development trends in a city that continues to have the most expensive housing market in the country. Learn more about on the BisNow event page. 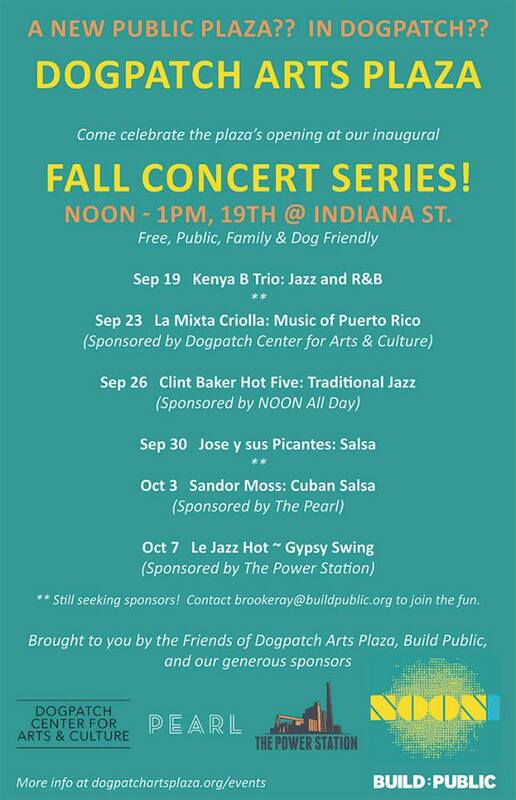 The newly open Dogpatch Arts Plaza at BUILD's O&M project is hosting a fall concert series. Concerts are on Tuesdays and Saturdays from noon to 1pm. We encourage everyone to bring their lunch and enjoy the sun and music at this great new public space! Also, follow #DogpatchArtsPlaza on Instagram and Facebook to stay up to date with all of the great events organized by the Friends of Dogpatch Arts Plaza (www.facebook.com/pg/DogpatchArtsPlaza). BUILD's Lou Vasquez will be presenting as part of a panel hosted by The Registry on August 30th and the Contemporary Jewish Museum. 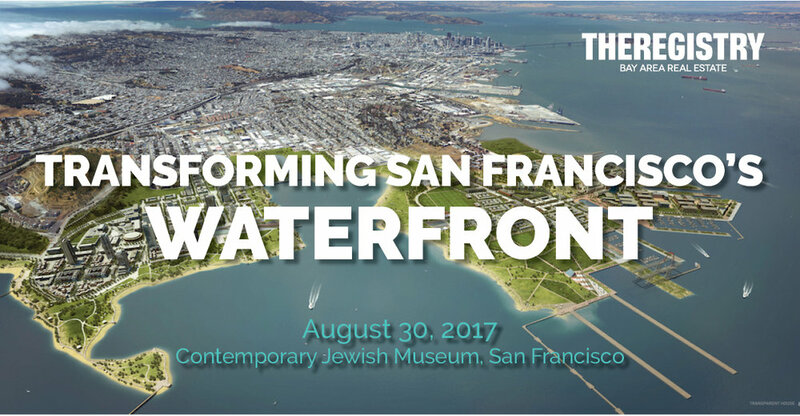 The panel will be discussing the diverse development projects that are re-defining San Francisco's waterfront. As documented in this San Francisco Magazine article by Danelle Morton--"An Inconvenient Barn"--BUILD has worked closely with neighbors of our India Basin project to find win-win solutions. This article details how BUILD has spent two years working with India Basin resident Michael Hamman to incorporate his property and historic barn into the new design for the neighborhood. We are proud to have structured an arrangement that maintains the historic structure, reconnects it with the Bay shoreline, provides a more cohesive design for the development project. Every year, Walk SF organizes a day-long urban hike featuring some of San Francisco's sweeping views and hidden gems. This year, one of the first stops along Peak2Peak is at the Dogpatch Arts Plaza, where Build Public will share information about the new public plaza and the Green Benefit Districts they are developing to help support these community assets. BUILD is proud of the work that Build Public is doing and glad that our O&M project is supporting more gathering spaces for San Franciscans. Ron is Executive Producer/Producer of Save the City: Remaking the American Metropolis, a 13-part TV series in the works highlighting successful and unsuccessful examples of urban redevelopment throughout the US and Canada. Visit savingthecity.org for more information including preview videos. He was also Executive Producer/Producer for Saving the Bay: The Story of San Francisco Bay, a national prime time PBS TB series which aired over four weeks in 2011 and continues to be repeated around the country. Narrated by Robert Redford, Saving the Bay covers San Francisco Bay from its origins to the present and highlights three pioneering women who saved the Bay from becoming little more than a river in the 1960s. Visit savingthebay.org for video clips. Ron previously worked in real estate development and finance in his native San Francisco and on Wall Street in New York, as well as serving as Director of Business Development in the San Francisco mayor's office in the early 1990s. He was the mayor's point man for keeping the San Francisco Giants baseball team in the city as well as a catalyst for a major new Federal office complex. Pink Saturday, which originated out of the 1990 AIDS protests and soon became a formal SF Pride event, is back and stronger than ever. The Sisters of Perpetual Indulgence, a self-identified Order of queer nuns, organized the revived event that is now named, "Pink Saturday Unchained." The event took place in the Eagle Plaza Site across the way from SF Eagle, a staple bar in the SF LGBT community. BUILD Managing Director, Lou Vasquez, spoke at this ULI event on June 22nd, 2016. Also, Brooke Ray Rivera, Build: Public's Executive Director, moderated the event. Under-planned or short-sighted public engagement strategies can create unintended roadblocks to development and are often set up for failure and contentiousness. Join us for a lively discussion with our expert panelists as they share successful examples of public engagement on a variety of project types, showing how meaningful outreach can lead to win-win outcomes that yield higher value and often an accelerated approval process. Geared towards a development audience, this event is open to all interested in “hacking” new and more effective ways of engaging communities in the development process. "Light, Glass, and the Built Environment"
"Manifesto for an Open City"
Soaring into Birdman of Alcatraz territory yesterday was pro-skater Tony "The Birdman" Hawk, whom Hoodline spotted cruising a temporary half-pipe at 12th and Harrison. In a lengthy skate-sesh video, you can see Hawk shred in what was a free, surprise vert demo. "Developers offer vision for SoMa's Harrison Street"
"In a first, San Francisco plaza would celebrate leather culture"
"The New Geography of Jobs and San Francisco"
SF Wellness and Arts Pop-Up @ 1500 Market St.
On the corner of Van Ness Avenue and Market Street, something special is brewing above the All Star Café, and it’s not coffee. 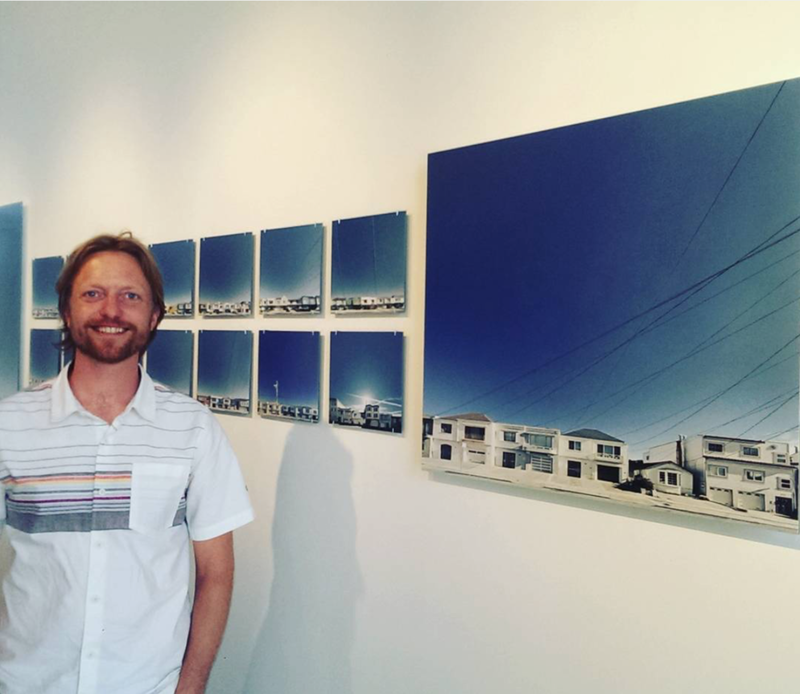 In September 2015, in the office space above the humble café that’s charmed San Franciscans for years, a non-profiteer social worker and hypnotherapist with a talent for nutrition and massage opened the SF Wellness and Arts Pop-Up. Envisioned as a center for the healing arts, ranging from talk therapy and hypnosis to murals and massage, the SF Wellness and Arts Pop-Up is a place where clinical treatment is meant to intersect with the creative arts. Like any pop-up, it sprung up quickly and won’t be around forever—at least not at 1500 Market St. The building that houses All Star Café and the SF Wellness and Arts Pop-Up is scheduled to be torn down sometime within the next six months to two years. Build, the developer heading the future deconstruction and its replacement with a luxury condo building, offered the office space at no cost to the two women with more than 15 years of experience in the healing arts, in hopes that something supportive of the San Francisco community might be created there. The two founders, Abbie Zimmerman, LCSW, and Siri Scull, a certified hypnotherapist, nutrition counselor and chi nei tsang abdominal massage therapist, have created such a space. News Article: "City, developer cut deal to get big tower at One Oak St. built"
News Article: "As millenials reject car ownership, developers reduce parking in projects"
"Two San Francisco transit hotspots primed for new towers"
"For SFMOMA designer Craig Dykers, the unorthodox is the normal"
ArtSpan Block Party @ 1540 Market St.
ArtSpan opened their studios up to the public for snacks, refreshments, and live music from La Gente to celebrate the “Bird Song” mural and the ArtSpan Studio Residency Program at the Journal Building. 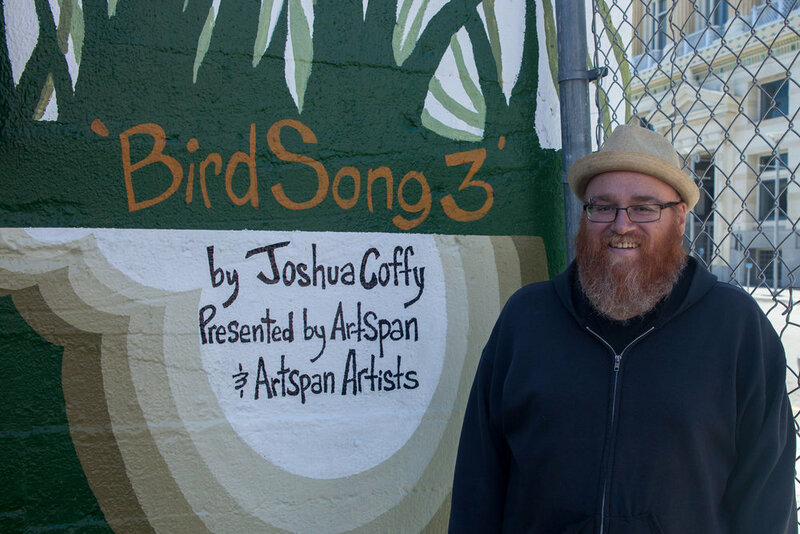 Muralist Joshua Coffy’s original design, covering 6,000 square feet by 30 ArtSpan artists on the east-facing exterior wall of 1540 Market St., is an accomplishment that could not go without a celebratory party. This day also celebrated the kicking off of ArtSpan’s Studio Residency Program, which provides temporary studio space for 22 artists. 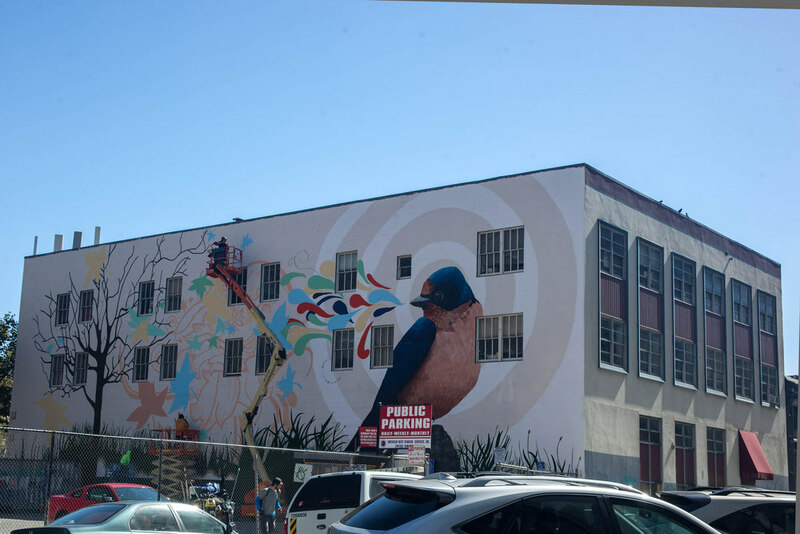 ArtSpan conceived of the Artists Residencies at the Journal Building as an innovative pilot program to combat the mass exodus of visual artists from San Francisco. Parallel to one of ArtSpan’s core values of providing a conduit for community building through connection with art, the artist residencies start with the selected artist’s shared interest in creating art as the initial connection to each other in order to grow community. 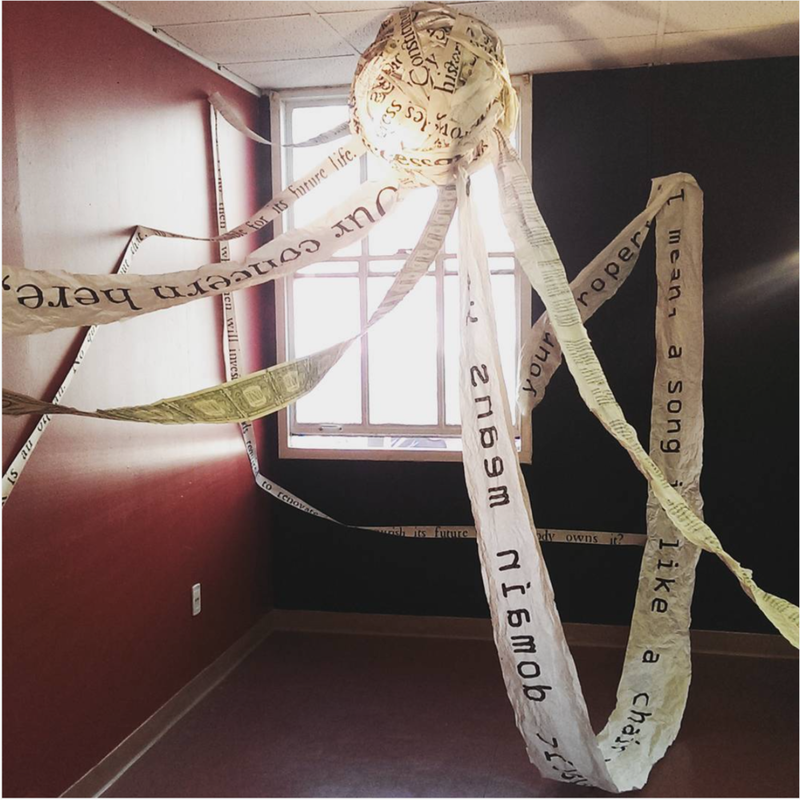 The residencies, which run up to the demolition of 1540 Market St. (estimated to be late 2016), provides 22 artists from diverse backgrounds, working in a broad variety of media with below-market-rate temporary studio workspace along with programming and guidance intended to focus and nurture their artistic practices. As San Francisco’s leading pan-city, apolitical visual arts non-profit, ArtSpan’s initial foray into space planning and management through the Artists Residencies at the Journal Building is the first of what is hoped to be other opportunities to secure and create temporary and permanent creative work environments for current and future generations of San Francisco artists.